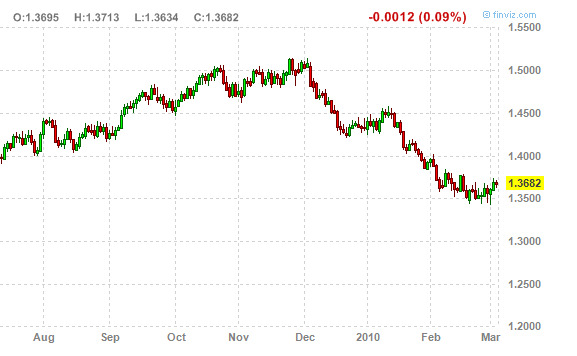 Is The Euro Rebound Real This Time? We’ll just throw this chart out to you, and ask for your thoughts. It seems pretty clear that for the second time since it began its decline (at the end of December 2009) it’s putting together some kind of run. We’ve also predicted that a parade of euro-bulls (on a trading basis) would soon be coming out of the wood work. This started already with Marc Faber. So what do you think, is it real?